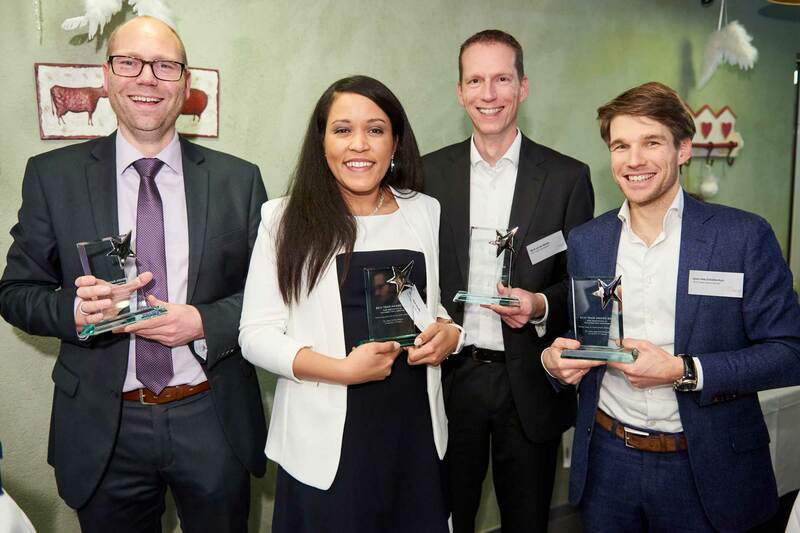 The European Consortium of Innovative Universities (ECIU) awards the University of Twente (UT) module ‘Smart ways to make smart cities smarter’ with the ECIU Team Award for Innovation in Teaching and Learning. The ECIU Team Award is presented annually to recognize ​teaching and learning innovations of teams from the ECIU member institutions. The UT minor ‘Smart ways to make smart cities smarter’ is selected as the winner out of seven candidates. The jury especially appreciates the high level of interdisciplinary approach of the module and its connection to external stakeholders. Smart Ways to get Smart Cities Smarter is a High Tech, Human Touch minor module led by Léon Olde Scholtenhuis from the faculty of Engineering Technology and is offered to third-year bachelor students of the UT. It introduces students to the field of civil engineering and management and society’s transition towards smart cities. The module addresses the challenges of maintaining urban space and infrastructure, and also provides hands-on experience during an industry-based design project. It is open to all technical students and students EPA and IBA. The module has been developed the faculties Engineering Technology, Electronical Engineering, Computer Science and Mathematics and the ITC Faculty of Geo-information science and earth observation. The module team is particularly pleased with the interdisciplinary character of the module. Necessary for teachers, but also fascinating for participating students. It shows that Smart Cities is a typical subject that can not be tackled (and taught) in one faculty. The chosen approach via interfaculty collaboration has therefore contributed to the success. The Student Success Toolbox Project of Dublin City University (DCU) receives the Special Highly Commended Award. This important, nationally funded research and technology development project is designed to address the effective flexible learner transition into higher education. It targets adults engaged in undergraduate, part-time or online/distance-learning during the initial stages of the study-lifecycle. Enhancing retention and completion rates of this group of learners, in order to facilitate successful widening of access, is a significant global challenge. This project team has produced both a guide for the sector on how to improve flexible learner readiness, and a suite of digital readiness tools for the initial stages of the study lifecycle that will aid program teams/institutions in facilitating undergraduate flexible learner transition. ECIU The European Consortium of Innovative Universities (ECIU) is an international consortium of research intensive universities, with collective emphasis on innovation, creativity and societal impact. The consortium consists of twelve members, including the University of Twente. Currently, the President of the UT’s Executive Board, Victor van der Chijs, is the ECIU President. For further information about the ECIU Team Award please contact Marc Brown of Dublin City University.